Guy H Fontaine who had a complete training in Physics and Electricity before to learn Medicine has made 17 original contributions in the design and the use of the first cardiac Pacemakers in the early 60s. He has serendipitously identified ARVD during his contributions to antiarrhythmic surgery in the early 70s. He has developed the technique of Fulguration to replace surgery in the early 80s (technique used during 30 years in Jean Rostand and La Salpêtrière hospitals). He has been one of the 216 individuals who has made a significant contribution to the study of cardiovascular disease since the 14th century, one of the 500 greatest geniuses of the 21th century (USA Books), one of the 100 life time of achievement (UK Book). He has 900+ publications including 201 book chapters. He has been the reviewer of 26 scientific journals both in basic and clinical science. He has served during 5 years as a member of the Editorial Board of Circulation after reviewing during decades’ articles for this Journal. He has given 11 master lectures of 90’ each in inland China in 2014. 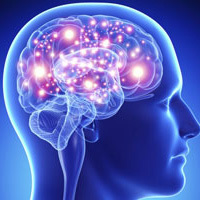 He has recently developed new techniques of hypothermia for brain protection in OHCA, brain trauma, stroke, spinal cord injury and children hyperthermia. He has also invented a high-tech device Healthmaker which can be considered as the ultimate in palliative care.